Ciao!!! 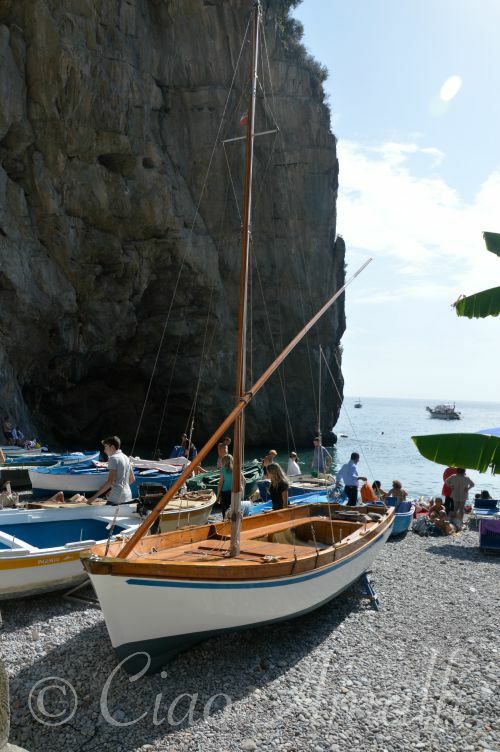 I loved this article and the evocative pictures- we will be in Sorrento by Sept 25th for four days, and I’m wondering how you would get to this place/beach from there? We will not have a car….prego! 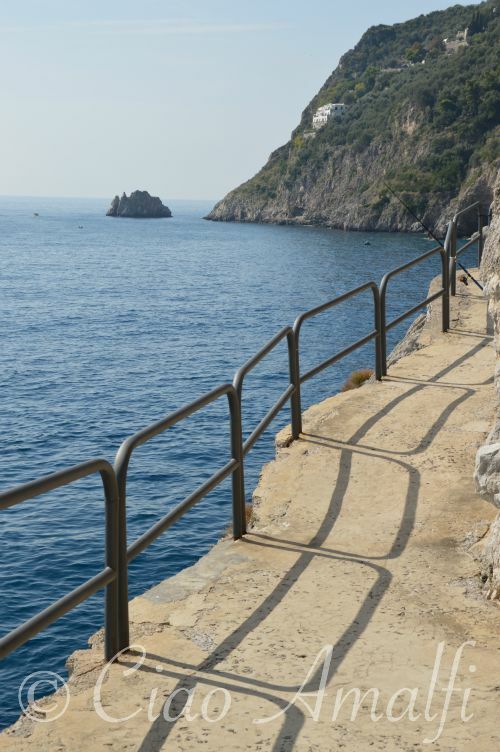 Loved this post as I’ve never been to this part of Italy. What a beautiful place. I can see why you love it. Thanks for sharing and the beautiful photos. 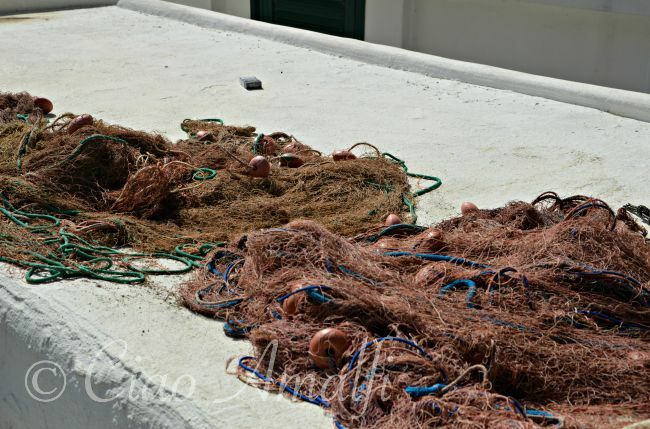 Marina Di Praia, is also a favourite of mine, first discovered it in 2009, when we stayed at hotel Onde Verde.. Have been back there many times since, and Da Amandino”s is definately the best restaurant there. Praiano is my perfect place. 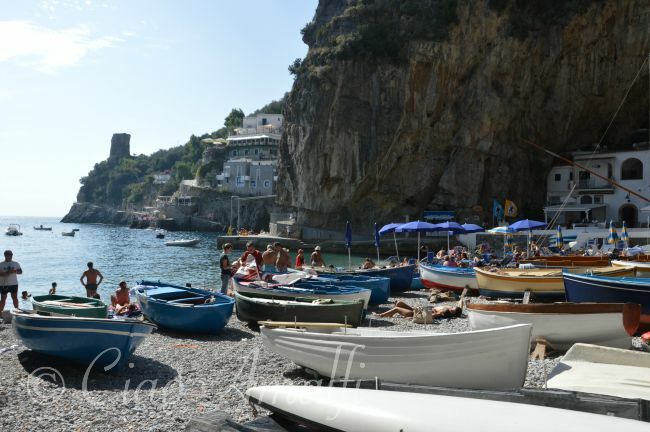 My husband with 2 friends & I are going to Positano on Sunday for 4 nights & we can’t wait. I hope you had a marvelous time, Vanessa! Gorgeous!! 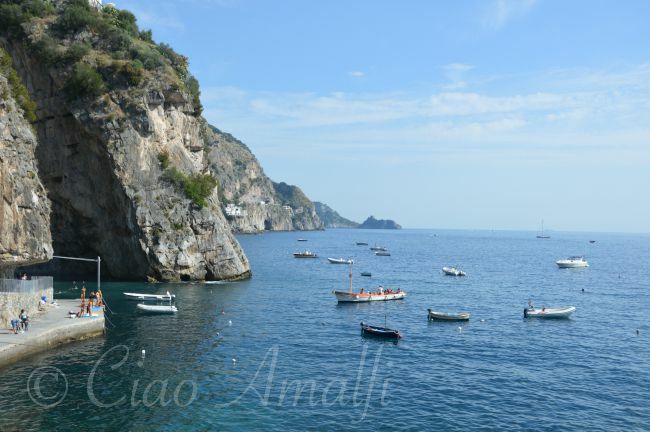 I was on the Amalfi coast many years ago, one of my favorite vacations ever. 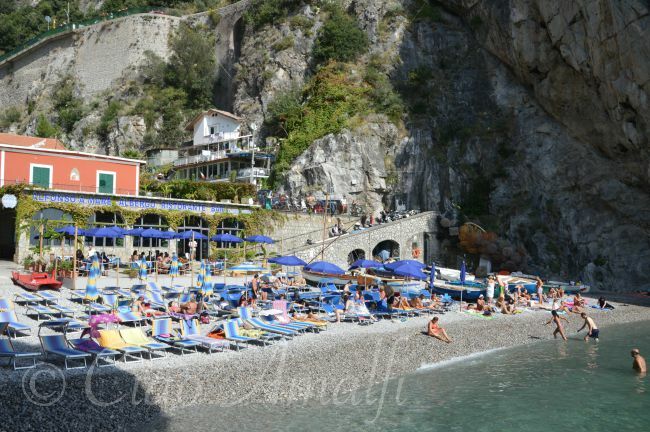 I am heading back there again but for one day only as I will be on a Med cruise with 3 friends docking in Salerno. 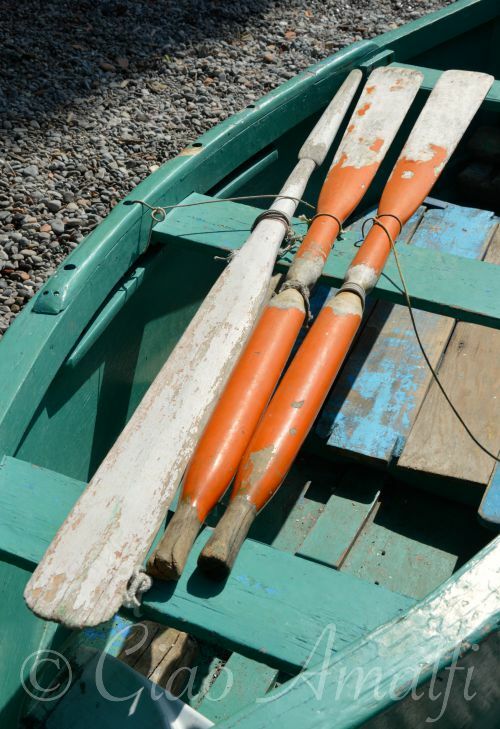 We would love to see the coast from the water this time. 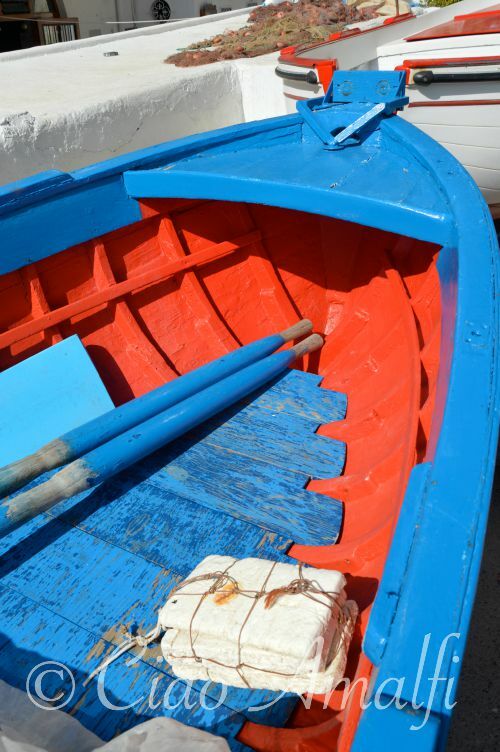 Are there small, private boats for rent from the port of Salerno that could take us to Marina di Praia and the many other lovely spots you highlight on your blog? Can you recommend a particular outfit? 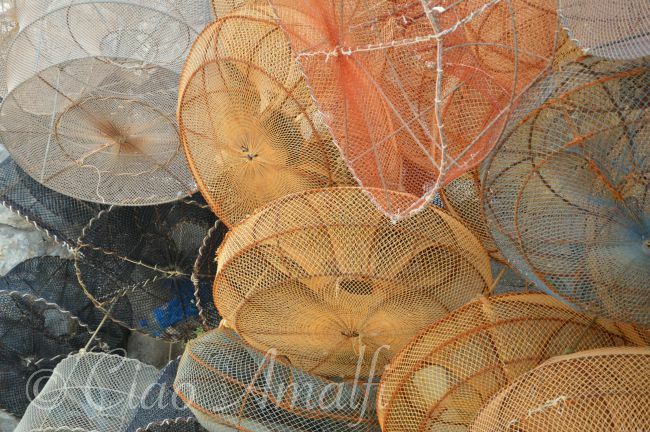 Love the boats and the nets! I felt like I was right there with you discovering this beautiful coastal angle. 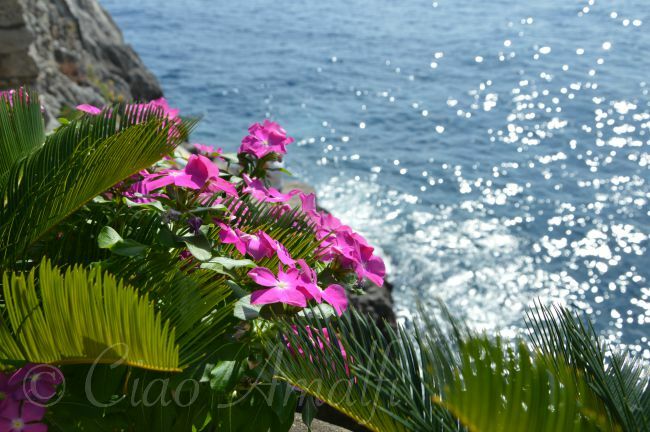 And as you can see from my avatar (taken from the cover of my book about Calabria), I’m a fan of seaside images! My wife and I just got back from a 3 week stay in Praiano. 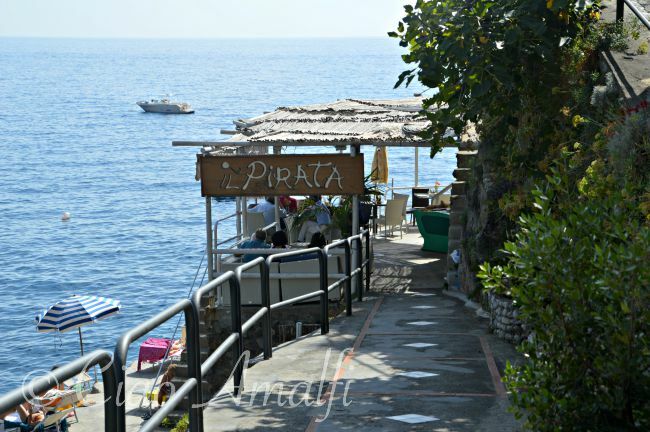 We made the trek down to Marina di Praia a number of times to swim, or to eat at Armandino’s. 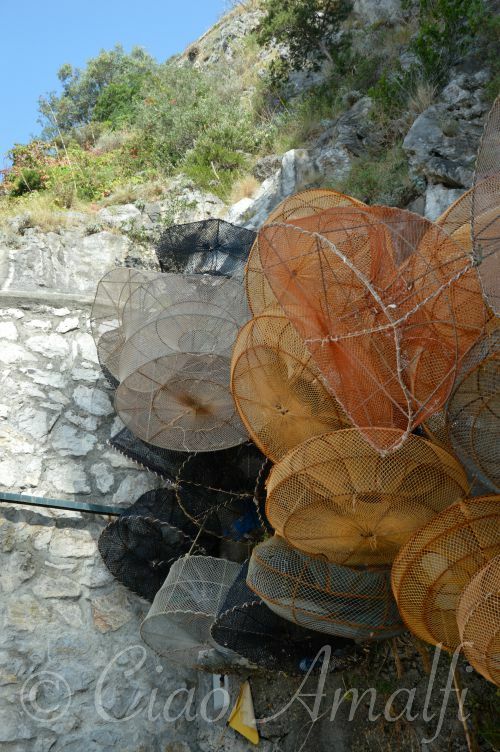 This is our favorite restaurant on the Amalfi Coast. We’ve been coming here for 8 years and always make it a point to get down to this restaurant as much as we can. Armandino is a charming host, and the food is outstanding…much of it prepared by his wife. The beach is very rocky. 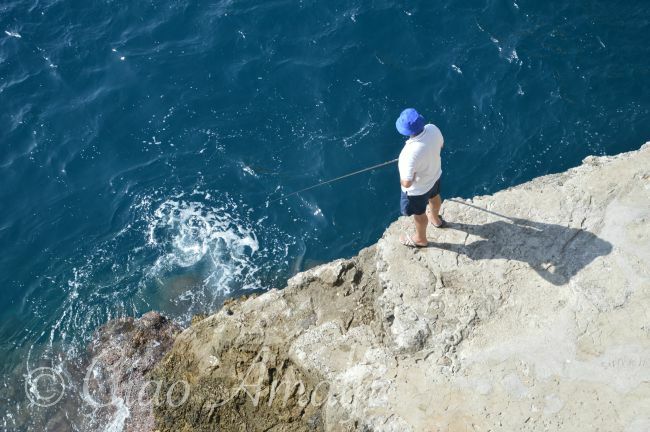 We can’t manage it without water shoes, although many of the locals seem to have no problem. Make it a point to visit this charming little beach. What a magical post and the photos are more than enticing. I really loved this post and can’t wait to spend the day here with you! Laura, how do you get to this beach? I stay in Praiano. Would love to take my friends there next year. Always love reading your blog, I remember this one glad you reposted it. 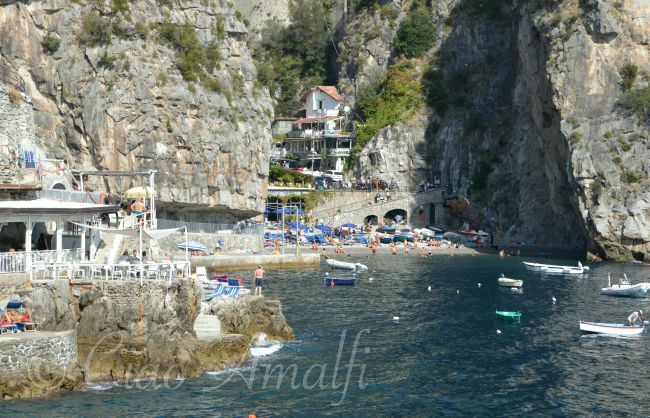 Hi Sherry, from the main Amalfi Coast Road there’s a small road that leads down to Marina di Praia. There’s a (paid) parking area that you can leave the car if you’re driving. I would highly recommend putting it on your list if you’re staying in Praiano next year! 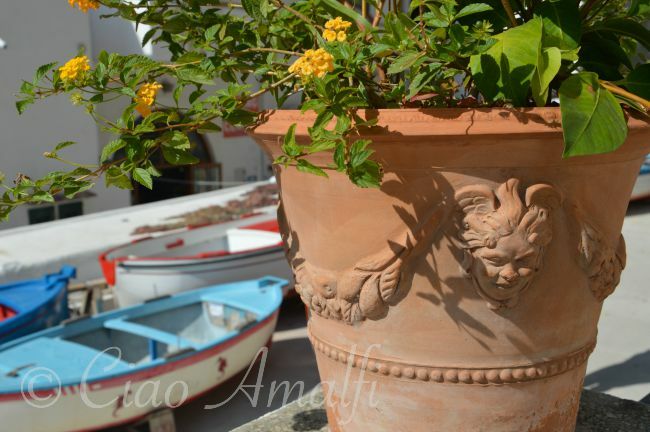 We were at the Marina di Praia just recently. I don’t know how we missed the pretty church. It’s such a beautiful beach and area! The church is kind of hidden away behind the restaurant that faces out toward the beach. Hi Laura – I just discovered your wonderful site! 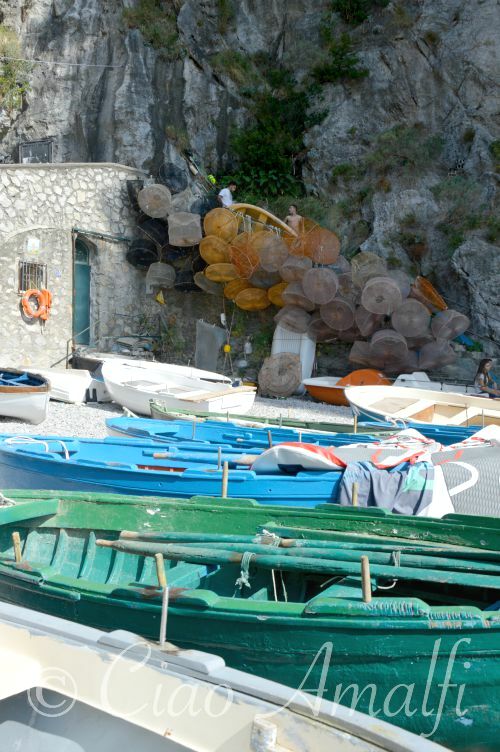 I’ve had the pleasure of staying on the Amalfi coast 3 years ago, staying in charming Atrani. 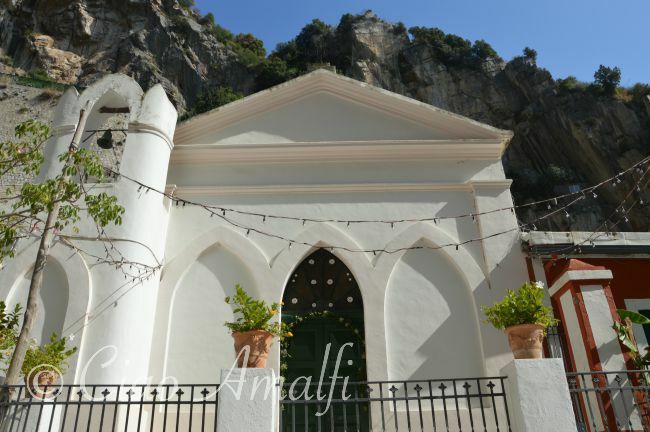 This May we head back to Amalfi for my nephews wedding being held at Villa Cimbrone. 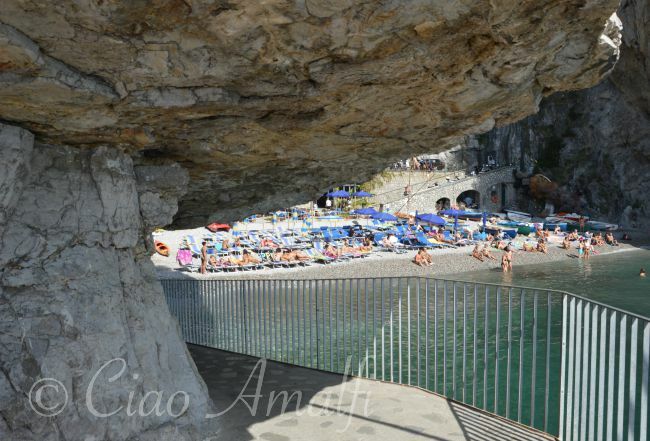 I’m staying in Amalfi and for one afternoon I want to head to one of these secluded and lovely beaches for lunch. I was considering Santa Croce or Conca dei Marini, because they’re both close by and have free shuttle boats. 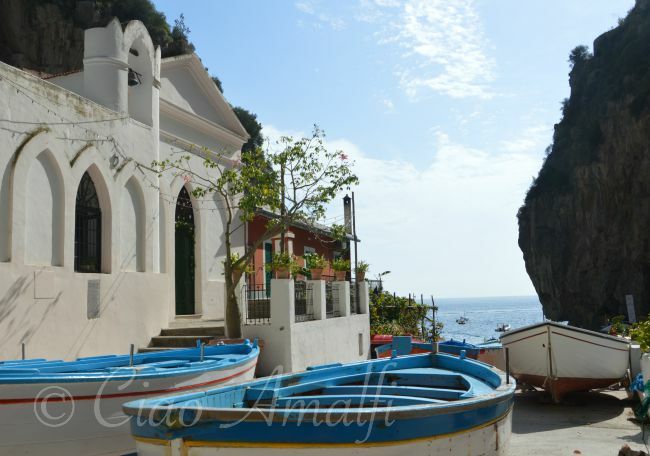 Does Praia have free shuttle boats or is it too far away from Amalfi.? 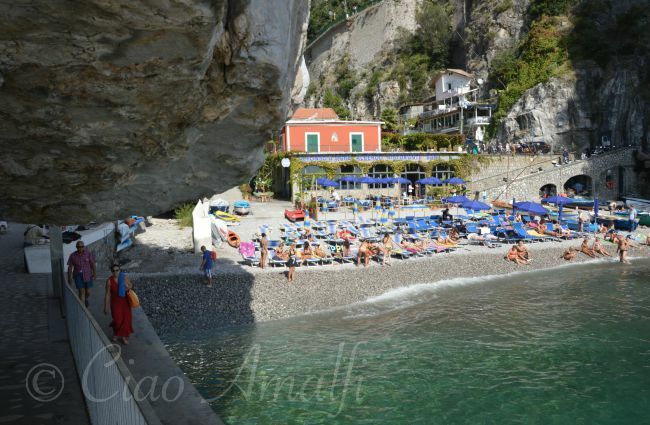 Which of these 3 beaches would you recommend for lunch if I’m coming from Amalfi?